The trend of geolocation has densely entrenched in the mobile application market. 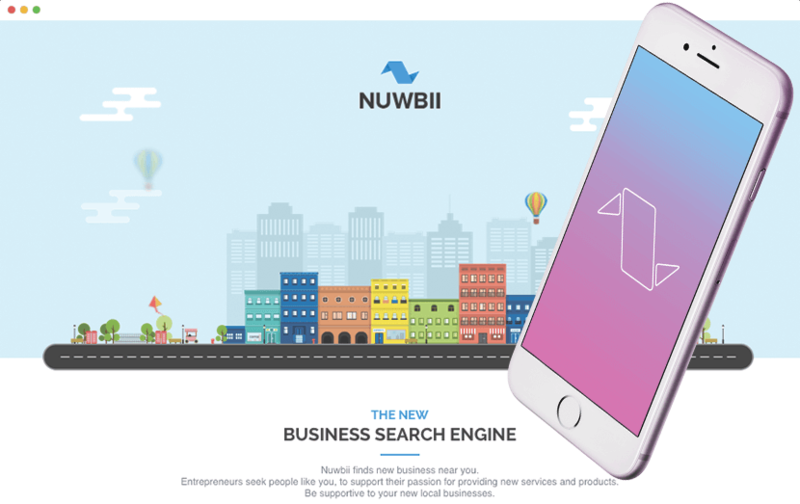 Geolocation in the mobile app has opened the door for new startup ideas and has established businesses that basically couldn't exist without this technology. On the other hand, the ability to integrate geolocation in the mobile app has brought a new client service treatment for existing goods and services and a new level of marketing strategies. 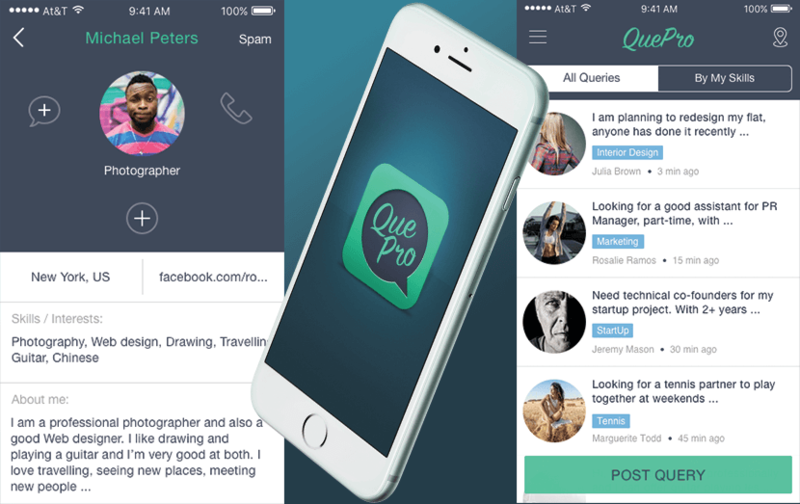 It has changed the whole workflow of interaction with the consumer. Some applications are entirely based on this technology, and even created a new niche of location-based services in the market. Others use it as an additional feature to extend the service and make it more advanced. Here's our take on explaining how to make a location-based app. It is not as easy as it seems since many features are overlapped, complement each other or extrapolates attributes to other areas, thus creating a new niche. So, please, don't hesitate to share your thoughts in the comments. The first thing that comes to mind when we talk about geolocation app development, a service that helps to navigate the terrain. These include Google Maps, Waze, as well as a variety of compasses, schedules of urban transport, and astronomy. Read our article about creation a navigation app like Waze to know more. Such apps are all about places to go out and recalls from other consumers. We consistently receive a lot of requests for GPS app development for a startup like Yelp and Foursquare. This type of apps is more about social component than geolocation. 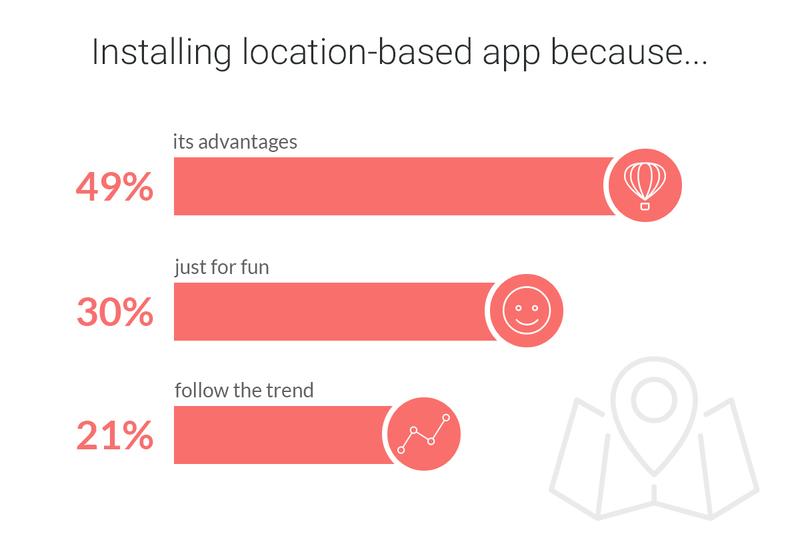 Users share content based on locations in apps like Instagram and Facebook Places. This category also includes streaming services like Periscope. Apps like Yahoo Weather and Weather Underground use geolocation data to increase the usability and skip a few steps between the consumer and the product. You have such apps or widget on your smartphone for sure. There is one more interesting fact about it. Weather apps are the most leading category to which users turn on geolocation. About 65% in comparison to 38% of social networking apps. The technology of geolocation has enabled a new way to provide such services as taxi, delivery or domestic issues assistance. Talking about this category, we should mention Uber and Lyft. Apps that use GPS data for tracking sports activities and patterns. Most famous of them are RunKeeper, Runtastic, and Moves. Lifestyle apps connect users according to their interests and lifestyle - for example, their passion for golf or hiking. Event applications provide the organization of events and put together event hosts and users. One of the biggest players in this market is Eventbrite. All types of apps that are required to set up a vacation or business trip. Very often they are an extension of the web version. In this niche, you can find TripAdvisor, Airbnb and a lot of others. They use information about location to remind customers about events that took place in the same spot. Check Path and TimeHop for some magic. Dating services, along with usual social media apps, help to connect people according to their business or private interests. The niche of dating services like Tinder or Badoo has reached a massive part of the market recently. Apps like Localmind or Nextdoor help to get people together in their neighborhood for social and political initiatives and connect people with local experts. Mobile apps for electronic commerce business like eBay or Asos make an everyday consumer experience more fast and smart, and information about geographical location brings the new advantages for logistics and delivery. For more details also check "Do You Need a Mobile eCommerce App for Your Business?" Even offline business can get a profit from the location-based mobile app for its users. Firstly, it’s an easy way to inform customers and provide loyalty program. Secondly, there are indoor location technologies, which are just intended for offline stores. About it read a bit below. 2018 seems to be a year of augmented/virtual realities. The popular brands lightning fast picked up this trend for their advertising campaigns and a feature of geolocation makes this experience more bright and complete. Same thing with the games. To build a location-based app, we need two components: location services and maps. There are a few different ways to determine outdoor geolocation with various services. We'll talk about the most widespread of them. All modern smartphones equipped with Global Positioning System chip inside. 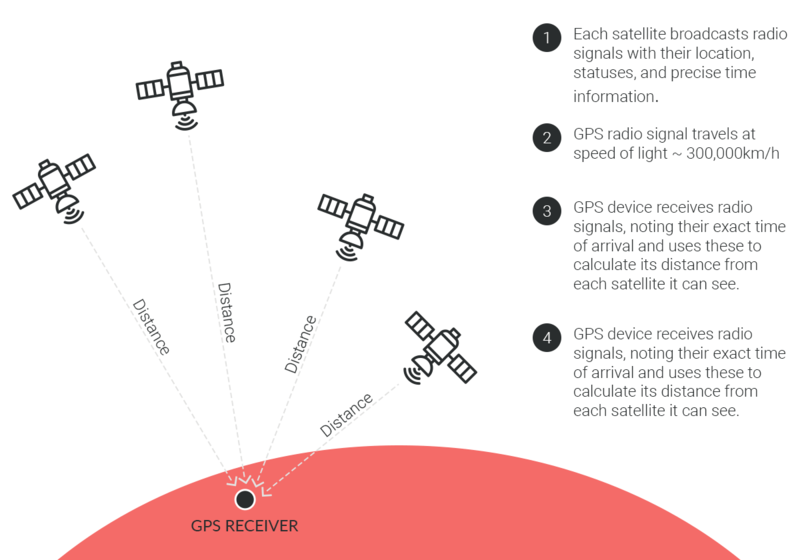 GPS uses the information about location and timing that satellites send from space. Smartphone needs data from at least four satellites to determine position with about 60 feet accuracy. If the GPS signal is unavailable, we can use the information from cell towers. Mobile networks help to determine which cell uses the customer and compare it with a base-stations database. This method works better in major cities with a vast amount of cells. Assisted GPS approach combines GPS and Cell ID tools and happens to be even more precise than just GPS by itself. Wi-Fi determines the position of the user the same way the Cell ID does, but it is more precise because it covers smaller areas. There two ways to determine location with Wi-Fi. The first one is RSSI (receive a signal strength indication) that refers to signals from the phone with Wi-Fi points database. The other one is used in frequently visited places. It uses profiles of some locations that are on Wi-Fi networks and called wireless fingerprint. It identifies the user's position with 2 meters accuracy. After the location of a user is captured, we use services like Google Maps geolocation or some Map Kit Framework to put it on a real map. Google Maps API's for iOS and Android devices provide the performance of geolocation apps, including all information about the location, detailed maps, search for nearby places and other features. Google Maps SDK for iOS is responsible for adding maps and Google Places API for iOS implements the detection of location and other advanced features. The same tools are provided for Android devices with Google Maps Android API and Google Places API for Android. Speaking of marketing facilities of geolocation, we also should mention indoor technologies of Geofencing and iBeacon/Eddystone. Here are two interesting facts that will help you to do justice to these tools. Firstly, according to studies, the indoor location-based market has grown from $8,12 billion in 2014 to $30,6 billion in 2016. Secondly, some mobile devices per capita are on the rise from 9.6% in 2011 to 31.3% in 2016. To top it all, it is worth noting that 8 of 10 consumers prefer using their smartphones for making a final decision before purchasing in the market. All this indicates that location-based marketing is the new step to customers acquisition and retention, so don't miss it while planning your next marketing strategy. Static triggers are based on the user's position in a particular place. For example, a message comes to individual users when they enter the store. Dynamic triggers are based on the user's location and let them know about the changing data stream. For example, a notification about the free parking space is sent to the user that is passing nearby. Combined approach is based on the user's location about other users. For example, notification about friend's check-in with apps like Yelp, Facebook, or Foursquare. Apple iBeacon & Google Eddystone technologies do not deliver offers or other content by themselves. 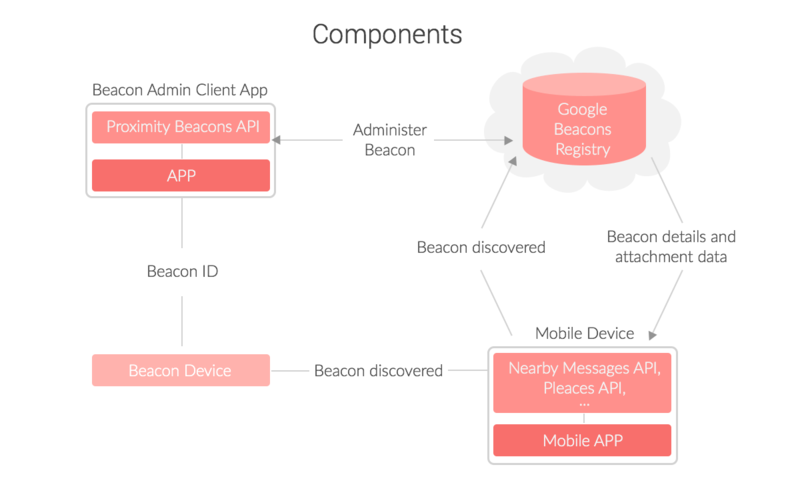 They only send out the identifiers (Bluetooth Low Energy signals, BLE), which trigger actions in custom designed mobile apps for iBeacon/Eddystone. Unlike geofencing, beacons cannot determine the user's position on the map. Instead of this, they use BLE to assess whether the mobile user is in the area of their performance. Geofencing is much less accurate when it is necessary to determine the precise geolocation, but it can be a helpful tool when you need to bring customers to the market from the street or parking. While iBeacons with their ability to determine the location of the client with greater accuracy, perform better if you need services based on geolocation indoors. For example, the beacons can be used to provide more accurate navigation inside the building. Geofencing and iBeacon evolution have led to a new round of IoT development. Currently, the Internet of Things is growing fast and changes the industry landscape. It connects more and more devices inside the shop and provides a superior shopping experience. Experts predict the market increase up to $1.7 trillion by 2020 and about 29.5 billion connected devices in 2020 (compared to 16.9 billion in 2014. There is a stumbling block, though. Geolocation technologies increase privacy concerns. A vast amount of users refuses giving access to their data as they are an affair that this information could be used to harm them. Companies have to offer valuable benefits to users as well as guarantee information security. 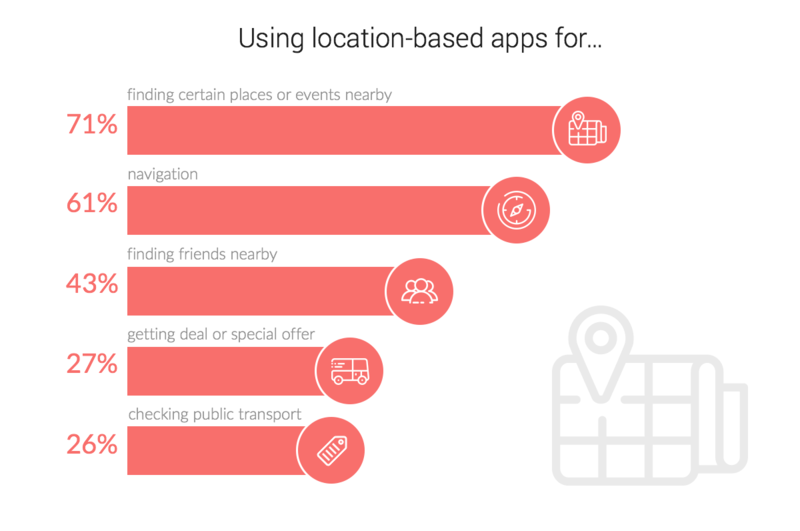 Location-based apps tend to shake up all industries and change the way brands interact with their customers online and offline. Create a geolocation app for your business, and you can always deliver information and benefits to your audience at the right place and time. Gain trust and ensure customers that their private information is safe - this is the secret ingredient of successful geolocation app. HOW MUCH DOES IT COST TO BUILD A TAXI BOOKING APP LIKE UBER? HOW TO BUILD A MOBILE TRAVEL APP?